You know you need to use Instagram hashtags, but aren’t really sure how? Want to learn EXACTLY how to research hashtags that are tailored to your specific account? 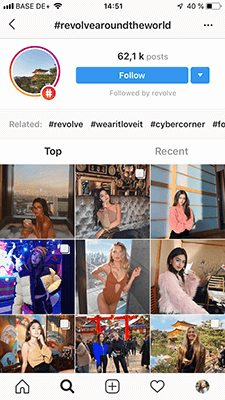 This extensive Guide to Instagram Hashtags in 2019 will teach you how to create an effective hashtag strategy that will boost the reach of your posts and ultimately help you gain more followers. Before I get ahead of myself, let me answer a question that I KNOW is on your mind: Why should you use hashtags in the first place? One word: Exposure. Or, the way a content marketer would see it: Traffic. Look at Instagram growth the way you look at SEO. If you want your content to get more exposure (i.e., to rank in Google), you have to use keywords one way or another. On Instagram, those keywords are hashtags. 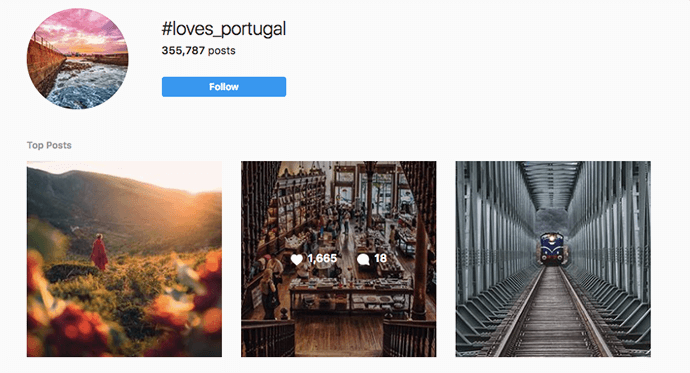 If you want your Instagram posts to get discovered, recommended, featured on the hashtag explore page, and ultimately get you more Instagram followers, you simply MUST use hashtags. Now that you can follow hashtags or add them to your Instagram bio, they’ve become not just a growth tactic, but also a way to brand yourself. A simple hashtag, however, can have different uses. 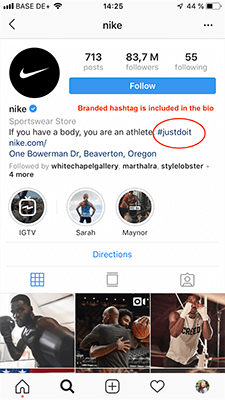 Sometimes, it’s a strong brand hashtag, which is easily recognizable and is instantly associated with a brand, such as @nike’s #justdoit. More often than not, the tagline (or, slogan) of a business is used as a brand hashtag to create a community around the whole brand. Then, there’s a campaign hashtag, which is used to promote a specific campaign only. This type of hashtags is more time-limited and has a more short-term effect. A great example is #revolvearoundtheworld by @revolve, a fashion brand that takes its brand ambassadors on luxurious trips (lucky them). Hashtags like this are only relevant during the campaign they were coined for and then typically “die” or “go into hibernation” after the campaign has been wrapped up. Lastly, there are “regular” hashtags, which is what this guide focuses on. These are the hashtags that people use in singular posts in order to boost exposure. You can add up to 30 hashtags to a post overall, whether it’s inside the caption or in the first comment (more on that later). As I mentioned previously, using hashtags will not “make or break” your Insta-game, but they can significantly amplify your Instagram strategy and drive more impressions to your posts. There are different ways you can use Instagram hashtags, so let’s dive in. If you want, you can choose to put hashtags immediately after the message in your caption, ultimately making your hashtags part of that caption. This method works nicely if you’re a minimalist hashtag user and like to stick to 5 hashtags max. 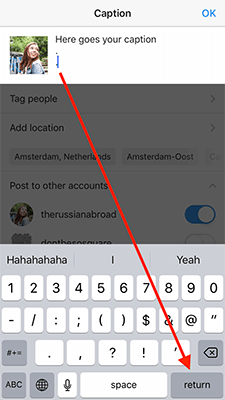 Since Instagram introduced a chronological hashtag update in 2018, content appears on the hashtag page according to the time it was originally posted and not the time the hashtag was added. For this reason, many prefer to add hashtags in the caption, as losing the precious few milliseconds between publishing the post and posting the first comment with hashtags seems too big of a risk to take. This remains, however, my personal favourite of using hashtags on Instagram. Firstly, one may argue that it looks more aesthetically pleasing to hide the hashtags in the first comment. The post doesn’t look spammy and doesn’t take the attention away from the actual message, which is crucial if you’re using CTA’s. Secondly, it only takes a second to copy-paste hashtags in the comment. If you’re worried that, during this second, your post will get buried under a heap of other posts, that means you’re using the wrong hashtags (more on that later). A mere second won’t make a difference in terms of hashtag performance; so, if you’re passionate about keeping a clean Instagram aesthetic, this might be your go-to method. There are, again, two ways to post hashtags in the first comment. This is my personal favorite, as it’s ultimately the cleanest and least intrusive method to use Instagram hashtags and promote your posts in this way. 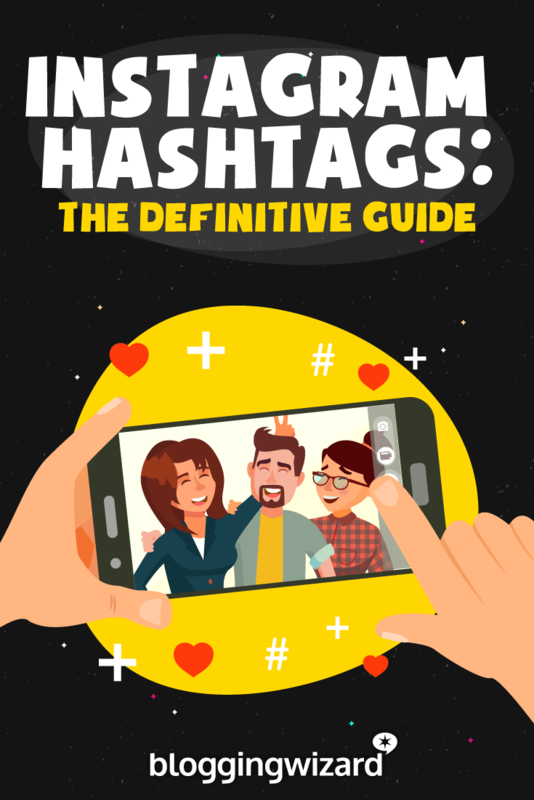 I hope not, because we’re finally approaching the most interesting part of this guide: how to find the best hashtags for your specific account. The thing is, in order to be successful with hashtags, it’s important to be strategic about them. Just like a good SEO strategist would research the best keywords, a good Instagram marketer would research her hashtags — always! While the most popular Instagram hashtags have been used a bazillion times, that doesn’t mean you’re going to get a bazillion likes. Let’s take a look at the hashtag #love, for instance. It has 1,4 billion uses at the time of writing. This means that if you were ever to end in the “Top” section for this hashtag, you would need to get a truly immense amount of engagement — I’m talking about thousands and thousands of likes within the first half hour of publishing. Unless you’ve got millions of followers, like Kim K, this isn’t a very feasible strategy. 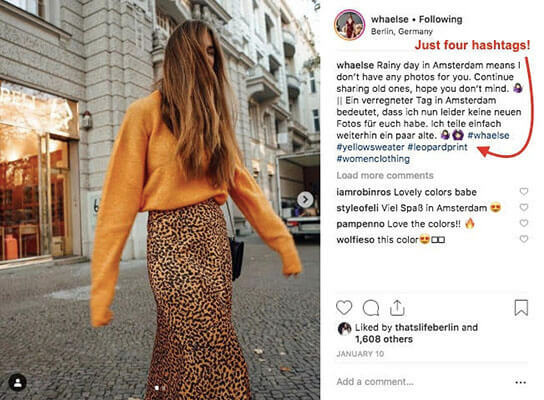 So instead of using the most popular Instagram hashtags, it’s better to use long(er)-tail hashtags that are less competitive, have an engaging community behind them and are specific to your niche. The ultimate way to find your target hashtags is to take a look at what hashtags are truly descriptive of your brand and content, and what hashtags your audience, competitors and industry leaders are already using. The narrower the hashtag, the more engagement is usually drives per post. All you really need is Instagram itself. 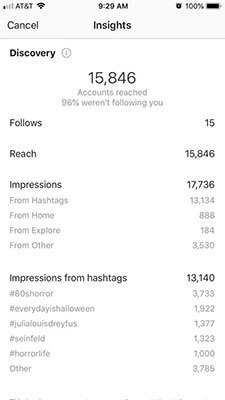 For example, here’s how I researched hashtags for one of my recent Instagram posts, which got 3,544 impressions overall, with 2,298 (or, 64%) coming solely from hashtags. First, use Instagram’s hashtag suggestion tool to find related hashtags. Now, mind that not all of them are relevant to you. At first glance, it might seem like they are — after all, they all contain the keyword “portugal”. But if you tap on some of them, you’ll see that the content tagged with this hashtag is not always relevant. For instance, if I tap on #portugalfit, what I see is lots of gym selfies. Meanwhile, my photo is all about travel, so if it appears under #portugalfit, it will be the wrong content-audience fit. So, rule number one: make sure the hashtag you find is relevant. Click inside the hashtags you find and check each and every one of them to see if they’re the right fit. Yes, that’s manual work, but no, there’s nothing else you can do about it. See it as “hashtag quality assurance”. 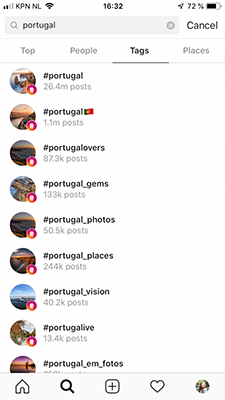 Once you’ve found the right hashtags say, #portugallovers with 86.3K tags — you can tap on it and check the “Related” section. 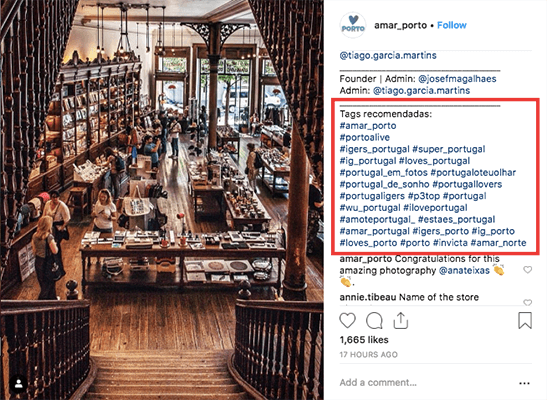 You’ll see 10 more hashtags that weren’t on that first drop-down list and that have a semantic, not merely lexial, connection, meaning they might not necessarily include the keyword “portugal” in them. From there, the hashtag search can be endless. You can tap on more hashtags to discover even more related hashtags. It’s easy to spiral down the rabbit hole, so don’t forget to check if the hashtags you like are, in fact, engaging enough to be used. What do I mean by an “engaging hashtag”? See, more often than not, it might be the case that the hashtag has tens of thousands of entries, but nobody actively posts on it. For instance, I recently posted a flatlay with the hashtag #teaoclock, which looked like a decent niche hashtag counting 23,5K images. More than two weeks in, my post is still ranking in the Top category, which means that nothing under that hashtag has been trending for a while. The audience for this hashtag is not engaged, nobody’s talking about #teaoclock, so nobody’s listening either. For this reason, it is important to double-check that the hashtags you’ve selected are active and that posts under these hashtags get a decent amount of likes and comments. If not, make a pass. 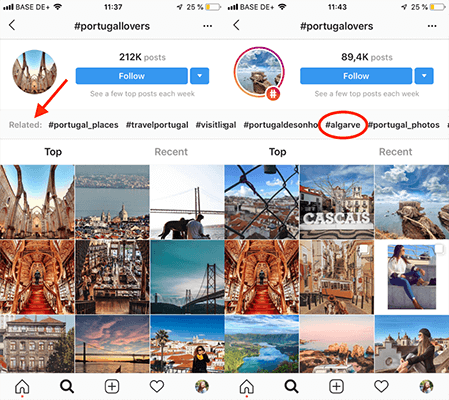 Last but not least, when researching Instagram hashtags, do take a look at your competitors, or better yet, at those posts in your target category that ended up in the Ranking section. So now you know exactly where to find hashtags and how to select the right ones. Yay! As you continue to research more and more hashtags, it’s essential — for your sanity, at least — to start building a hashtag database, which would allow you to keep track of your target hashtags, categorize them, and use them easily in your posts. Wait? We’re not done yet?! After you’ve spent hours researching the right hashtags, posting them on your media, the right question to ask yourself is: Are your Instagram hashtags actually working? Whether they don’t work at all and you need to do your research all over again. Luckily, it’s quite easy to understand if your Instagram hashtags are working for you. The reason you want to see if you ended in the Tap Ranking category for a hashtag is because your post will stay “pinned” there for a while, attracting more eyeballs. That’s an extra few hundred impressions or sometimes even thousands of impressions, depending on the hashtag’s volume. Checking this manually, for each hashtag, might take a bit of time, but it will help you determine how effective your individual hashtags are. 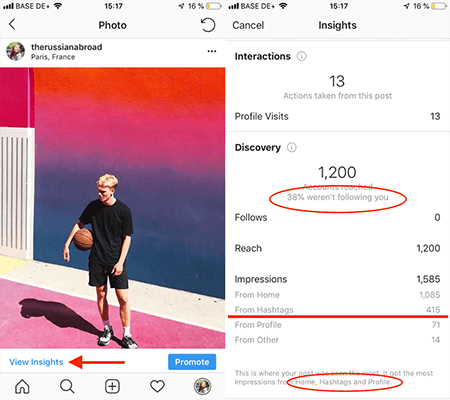 To get a general overview, you need to visit Instagram Insights, where you’ll find how many impressions hashtags have generated altogether. Click “View Insights” right under your post and scroll down to the “Discovery” section. There, you’ll see the number of overall impressions that your post has received, with a breakdown of sources. If you see that your hashtags appear as the first source of impressions, that means you’re doing a good job. However, if you discover that your hashtags are on the bottom of the list and that your overall discovery rate isn’t that high, this means that you have some room for improvement. 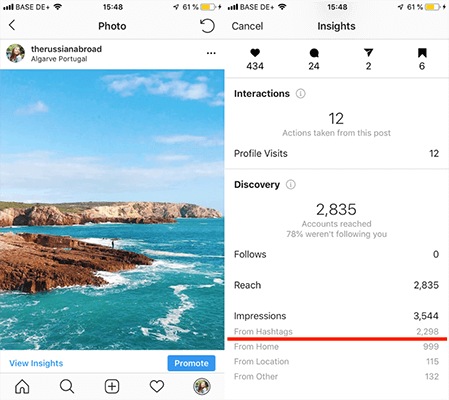 Instagram has been improving it’s native Insights slowly but steadily, and according to the latest Instagram rumour on Reddit, Instagram is currently testing a way to show impressions from each hashtag. So far, it looks like the impressions, generated by each hashtag, are shown for the Top 5 best-performing tags, while everything else is listed as Other. There also doesn’t seem to be a minimum number of impressions for the hashtags to show up in Insights. This means that, if a hashtag only led to 1 impression, it should still show up, as long as it’s one of the Top 5 hashtags. You might already be the lucky beta user of this new feature — go check in Insights and let us know in the comments if so! Fingers crossed that everyone will have access to this feature soon, as it will be of tremendous help in helping you estimate and optimize the performance of your hashtags. Stories are becoming more and more popular on Instagram, so it only makes sense to use hashtags there, too, in order to increase their reach. 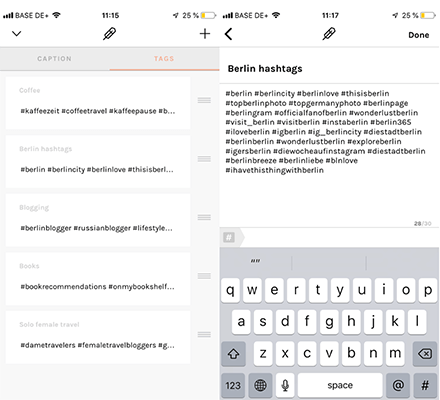 After all, you don’t want to cram lots of hashtags in your Stories, as it will make them look kinda spammy. 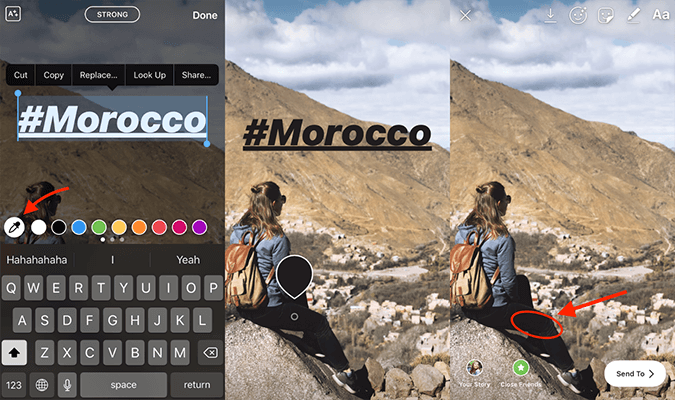 I’m going to share with you one of my best Instagram tips on how to make Stories’ hashtags invisible — yep, that’s right! — and in turn use as many as you want. Et voila! Nobody would guess there’s a hashtag hidden inside! Using Instagram hashtags in 2019 is just as important as being on Instagram itself. If you want your business to grow, there’s no way to go around hashtags. Yes, it takes time. And yes, it requires some experimentation, tracking, and analyzing. But that’s what marketing really is at the of the day. Don’t expect growth overnight, but do expect your content to get more engagement — IF you’ve done your hashtag homework and IF you’re posting regularly. I promise you the algorithm will take notice! And my final piece of Instagram wisdom for today: Don’t forget to interact. 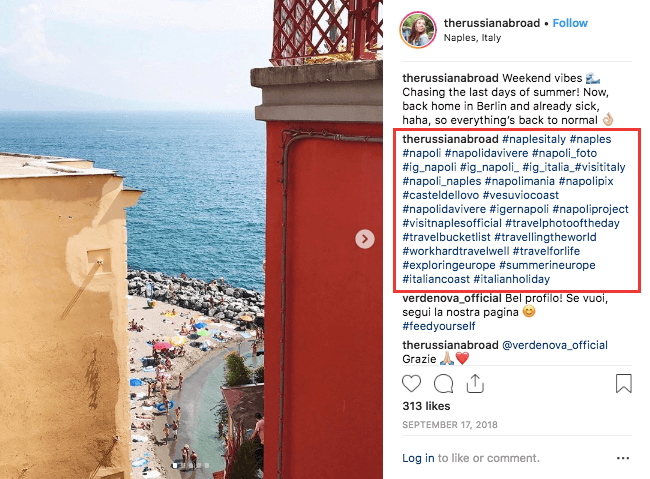 The right Instagram hashtags will do the work for you, but you can amplify their effectiveness if you regularly review the hashtags you’re using, interact with other users’ content, and stay an engaged part of the community. At the end of the day, this is what Instagram is all about. Olga Rabo is a marketing specialist with a background in content marketing for B2B. She’s all about SEO, powerful content strategies, increasing click-through rates, and sharing her in-depth knowledge of social media on the Iconosquare blog. She’s also a big travel addict, a huge Katherine Ryan fan, and her favorite time of the day is brunch.